I originally developed this recipe for The Nosher of My Jewish Learning and now I am sharing it with you! 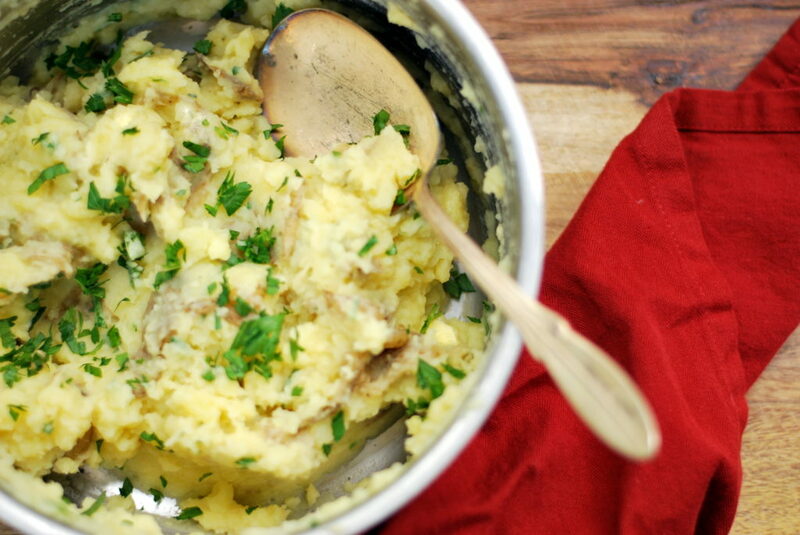 These mashed potatoes are based off of my mom’s garlic and vingear potatoes that are soft, garlicky and has that wonderful acidic bite. I simplified it with jarred horseradish, but fresh with some vinegar would be pretty outstanding too. 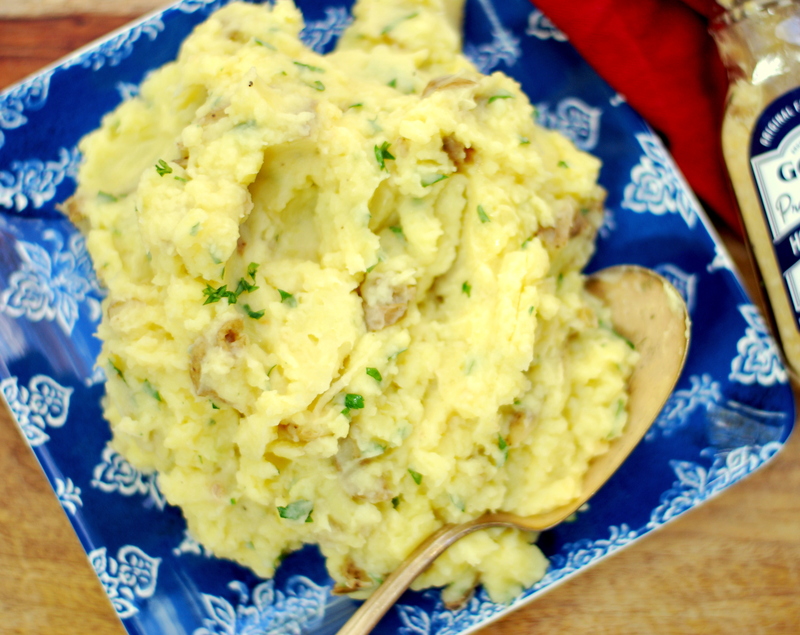 With Thanksgiving tomorrow, it’s not too late to make these delectable mashed potatoes that will have your guests craving more. Boil the unpeeled potatoes with salt until tender when pierced with a fork. Drain, return to the pan quickly and add the horseradish (with liquid), margarine, and almond milk. Mash the potatoes using a potato masher, and if you like them creamier use a spatula to fold in and gently mix the other ingredients. Adjust the seasonings and garnish. Serve immediately, or you can cover with foil and reheat with a bit more almond milk if needed.